In the evolving world of computer science, it can be difficult to stay on the cutting edge. One of the best ways to keep your knowledge and your inspiration updated is to stay engaged with the brightest minds and latest ideas. To do that, here are the five best TED Talks about computer science. This TED Talks may date back to 2003, but its content is still useful. The talk is given by George Dyson, who is more of a historian than a computer science guy. However, his historical perspective traces the development of the computer all the way back to the 1800s. This historical perspective is told through humorous anecdotes that will make you smile as much as they make you learn. In order to pave the way for the future, it is essential to understand where the story started, which is why everyone involved with computers can benefit from this particular TED Talks video. If you think you are too young or too old to take on computer science, this video is the one you need to watch. Thomas Suarez is not your typical presenter. While he has developed a number of popular apps and now spearheads other educational initiatives in the industry, Suarez was only 12 when he gave his talk to a rapt audience. His motivational story extends well beyond his years and shows how computer science is accessible to people from all backgrounds and at all ages. You may not gain any technical skills from watching Suarez, but everyone needs to be reminded that passion is the starting point for success. Kwabena Boahen gave this talk in 2007, discussing the limitations of traditional computer science and offering a new take on the future of programming. 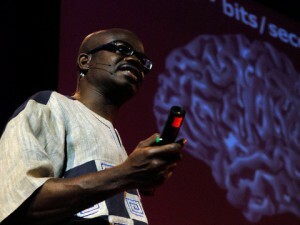 Through his work at Stanford, Boahen has sought to create computers that function more like the human brain. This means that the organizational structure is messier and sometimes more redundant, but the outcome could be a faster, more efficient computer that takes technology to places we could never have predicted. This ambitious project inspires new types of creative thinking in the field, serving as a perfect catalyst for upcoming developments in computers. Filmed in 2011, Kevin Slavin offered this talk to illuminate the unexpected places where computer science shows up in the real world. Algorithms are generally thought of in technical contexts, but Slavin’s discussion shows how they also apply to stock prices, spy games and even movies. The insightful examination is humorous at times, but it comes to a serious point. Ultimately, Slavin explores both the advantages of algorithms in our world and the dangers of trusting them too much. This sense of responsibility and possibility has widespread implications that can help shape the future of the industry. The debate over who owns information on the Internet is more relevant than ever. In this talk by Tim Berners-Lee in 2010, this push for open data is examined in context. Berners-Lee has dedicated his career to promoting open data, encouraging schools, governments, businesses and individuals to make data accessible by all. The question over raw data and how to use it is still something that is grappled with in computer science, making Berners-Lee’s discussion an important learning tool for novices and experts alike. The world of computer science will always be changing. Use these talks to keep yourself relevant for years to come.